The cloud has been making major strides in the consumer market for several years, but now it seems that it is about to take off in enterprise computing as well. According to a recent forecast by IDC, one of the world’s leading IT market analysis firms, 2014 is going to be the year that the cloud enters the mainstream of enterprise computing. In fact, IDC predicts that between 25% and 30% of all the server hardware that is shipped in 2014 will go to cloud service providers rather than to enterprise data centers. Furthermore, IDC expects that number to rise to 45% by 2017. Consumers will be most familiar with the cloud through the various cloud storage services that are available today – including Microsoft SkyDrive, Google Drive and DropBox. However, the cloud is about much more than just storing data – it is also used to provide secure computing capacity that companies can use without having to install their own server hardware. The best way of thinking of the cloud is as if it were a utility – but instead of selling electricity or water, it sells computing capacity on demand. 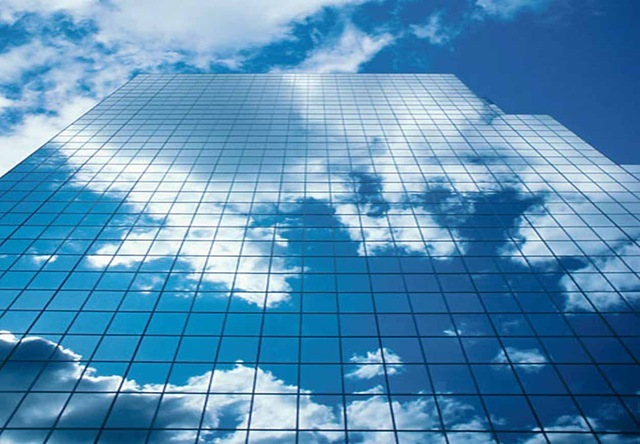 From an enterprise perspective, the cloud has a number of advantages. First of all, firms do not have to make the investment in building their own data centers – and if they already have a data center, they do not need to spend additional money expanding it when their need for computing capacity increases. Second, the cloud allows companies to turn computing capacity on and off on demand – in much the same way as we switch on and off our lights at home. It’s not quite as fast as that, but new computing capacity can be added in hours when needed, not in months. Third, the cloud lets firms pay a monthly fee to rent software that runs in the cloud, rather than having to buy the software upfront and install it on their own servers. This rental model is known as SaaS, and it is also becoming a major IT trend. For example, iDatix, a software company based in Clearwater, Florida, offers its workflow automation software as a cloud-based service. Using the company’s software, firms can automate their business processes, consolidate and analyze all of their documentation and other data, increase their operational efficiency and make it easier for employees to collaborate. Other software companies have also started to offer their software as a cloud-based service, but that trend is likely to accelerate now that the cloud is becoming a mainstream enterprise technology. In fact, this move to the cloud is being referred to as part of a “3rd Platform” that is set to revolutionize the IT industry. The first platform was the mainframe computer, and was replaced starting in 1985 by the PC – the second platform. Conceptually, cloud computing comes full circle back to the mainframe – computing capacity is moving away from the desktop again and back to a centralized computing resource. However, the difference with cloud computing is that the resource can easily be shared over huge numbers of users, and is incredibly flexible and accessible – something that mainframes never were. It is also part of a much bigger picture – the 3rd Platform also includes mobile computing, social networking, and big data. All of these work together to create unprecedented opportunities for communication, collaboration and personalization of services – again something that was unimaginable in the past. However, in the short term, this may not be good news for computer hardware manufacturers. IDC predicts that the revenues from service sales will decline 3.5% in 2014, in part due to this move to the cloud. Because the underlying computing infrastructure that supports the cloud is shared – rather than being dedicated to a single company – it is used much more efficiently. However, cloud is not the only force driving down server sales – enterprises have already turned to a technology known as virtualization to make more efficient use of their own servers. In the past, they needed a separate server to run each of the applications they had – such as email or accounting – even though the server was only used at less than 10% of its capacity. Virtualization allows multiple applications to run on a single server, which means that the number of servers required is radically reduced. In fact, virtualization is one of the underlying technologies that is used to build clouds, and is relatively mature – another reason why cloud is likely to be widely accepted by enterprises in the short term.